The first flight teed off with Edmond, Paul & Francis. Unfortunately no pictures was captured as they got off to a good start with a fast pace. The 2nd flight was a three ball with Eric, David & Peter. It was whispered that this flight did not bother with filling up the score cards as they play better that way. 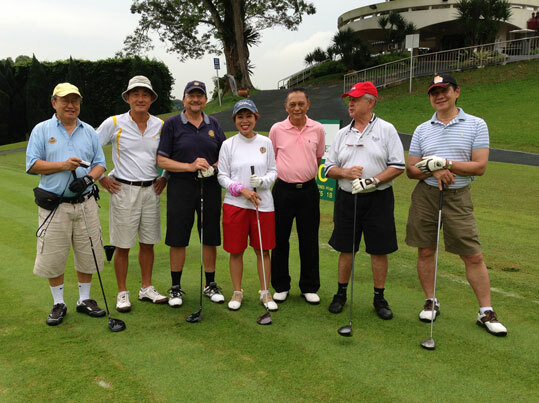 The 3rd flight was a jolly band of happy golfers. They were Linda, Chris (for 1st 9 holes), Patrick & Daniel. Everyone had a good time laughing at the interesting lie of the terrain when the ball keeps teasing the golfers by refusing to get into the hole!